looking for a new place to wager? - Nadal's knee injury has returned and there's a possibility he'll withdraw before the match starts. If he does play he will no doubt struggle. - Khachanov choked several chances to push Nadal to a deciding set yesterday but his style of play lacks variety and he couldn't move Nadal around the court. 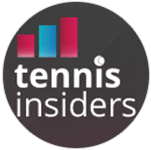 - Federer will have much more success in this department, his use of slice & dropshots will drag Nadal around the court and put stress on his already injured knee. - Nadal didn't return serve well yesterday and that has been a real problem when facing Federer, the courts in Indian Wells are playing quicker this year and this match will be played in afternoon conditions, warmer weather meaning the ball will move quicker through the air.